I just think concerts in the park bring out the best in people, old folks tapping their toes, toddlers dancing. It’s a great place to listen to music and people watch. 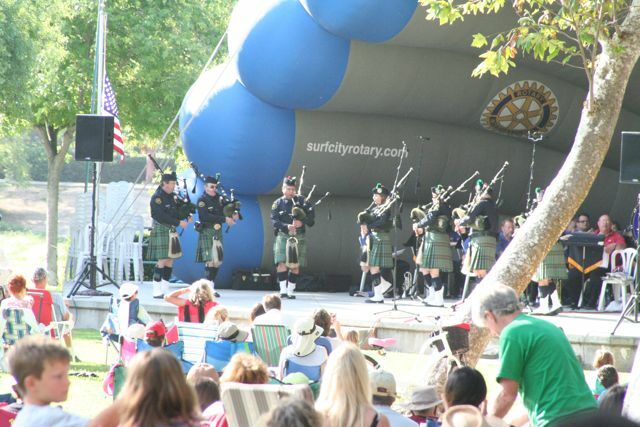 I think bagpipes sound so cool. Some songs kind of remind me of funerals but what are ya gonna do? they are just too cool. The boys are not as easily amused as myself. I think Joe actually fell asleep. Step out of your comfort zone people….this is the best.